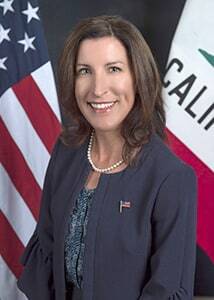 Assemblywoman Cottie Petrie-Norris represents the 74th Assembly District which includes South Huntington Beach, Newport Beach, Laguna Beach, Laguna Woods, Costa Mesa and most of Irvine. Cottie is a successful businesswoman, community leader, wife and mom. Cottie grew up in San Diego County in a hardworking family. Her stepfather was a union machinist and her mom was a homemaker who worked various odd jobs to help make ends meet. Cottie is a proud product of Southern California public schools. Thanks to good schools, great teachers, determination and hard work, Cottie went on to Yale University where she double majored in Economics and English. Over the past 20 years, Cottie has enjoyed a successful career in finance and marketing. She has built businesses and led teams at Fortune 500 corporations, small companies and start-ups. Cottie has lived and worked in Washington DC, South Africa, London and, for the past 7 years, back in Southern California. Cottie lives in Laguna Beach with her family – her husband Colin, two sons Dylan and Hayden, and their rescue dog Flounder.